A genuine upset this year, with perennial runner-up for Best Chowder, Jane Wright’s joint at the corner of Cunard and Robie, taking the prize from the longtime chowderheads on the Bedford Highway, even though the Esquire was recognized in Saveur magazine recently for its chowder. 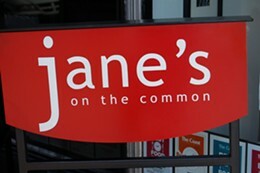 Nice job, jane’s! The other winning category it’s well-known for is less of a surprise: the brunch at jane’s is universally well-regarded. For us it’s always a toss-up between the French toast, so yummy with coconut sprinkles and maple syrup, or the grilled cheese, with that amazing tomato butter.